Kay Schwinghamer, age 67, of Holland, Indiana passed away at 12:55 p.m., on Friday, October 12, 2018, at the Linda E. White Hospice House in Evansville. She was born January 30, 1951, in Huntingburg, Indiana to Raymond and Arla (Egbert) Meyer; and married Mark Alan Schwinghamer on November 25, 1977, at St. James Lutheran Church in Holland. 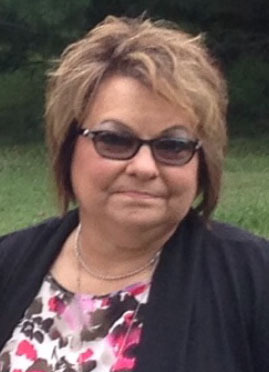 Kay was a homemaker and teacher’s aide; a member of St. James Lutheran Church in Holland, enjoyed reading and bird watching; and was a St. Louis Cardinals baseball fan. She was preceded in death by her husband, Mark Alan Schwinghamer, who died January 8, 2015; her parents; one brother, Ray Allan Meyer; and one sister, Patricia Kuntz. Kay is survived by three daughters and two sons-in-law, Melissa Schwinghamer of Holland, Ind., Amanda (Adam) Johnson of Indianapolis, Ind., and Lauren (Johnny) Hayes of Otwell, Ind. ; and one grandchild, Callie Johnson. Funeral services for Kay Schwinghamer will be held at 2:00 p.m., E.D.T., on Tuesday, October 16, 2018, at St. James Lutheran Church in Holland. Pastor David Darling will officiate at the service. Friends may call for visitation at St. James Lutheran Church in Holland from 12:00 noon-2:00 p.m., on Tuesday, the day of the funeral.